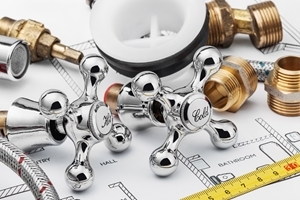 Looking for a Dripping Springs plumber to take care of your residential or commercial system? Then you have certainly come to the right place. Here at Moore & More Plumbing our name has become synonymous with excellence and we have worked hard to achieve that. For 30 years now we have been the local leading Dripping Springs plumbing company for a variety of important plumbing services. We take this line of work seriously and that is evident in the results that we are able to get for our clients. Now we look forward to making this quality work available to you. Too many other so-called pros focus on the quantity of jobs they get through in a day instead of the quality of work they provide. We are committed to offering each of our clients the individual care they should be able to expect. This is also why we have built such strong working relationships with our customers over the years. So if you need a plumber in Dripping Springs, TX, be sure to give us a call to experience customer care at its best. Sump Pumps – Don't take chances letting your basement or crawlspace get flooded. We can install a new sump pump or repair the one you already have. This is also essential for preventing the development of mildew and mold. Water Treatment & Testing – Do you really know the condition of your water? If you are consuming it, using it for cooking or even bathing in it, you should mare sure it is safe. Let us help you with that. Leaking Pipes – At some point, you are likely to end up dealing with leaking pipes. Addressing this issues promptly and professionally is what will make all the difference. Don't take chances when we can provide you with immediate care. 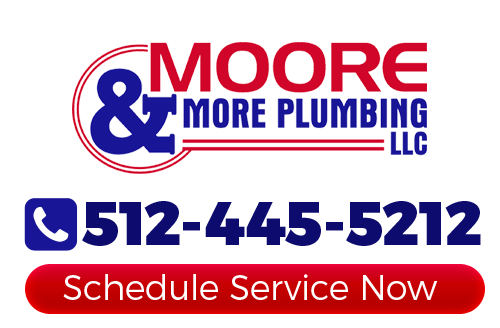 When you find yourself in need of an expert to work with for your plumbing services in Dripping Springs, TX, call on Moore & More Plumbing. Our team members are all trained, educated and experienced in the field. This is how we are able to promise satisfaction. This is also how we have easily become the top Dripping Springs plumbing company for this type of service. Don't settle for less than the best. Quality always matters when it comes to your plumbing, so make sure you get nothing but the best. If you are looking for a professional Dripping Springs plumber then please call 512-445-5212 or complete our online request form.